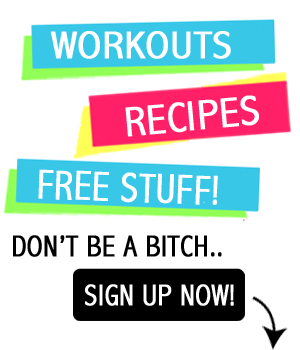 You are here: Home / Blogs / Steve’s PaleoGoods GIVEAWAY! Get in my belly yummy paleo goodies!!! This is a neat giveaway. Heck ya! I am a weirdo, don’t know what to say. You rock! Peace! P A L E O for my familio! Gimme Gimme! AWESOME! Agree about the quality ingredients! So awesome that you’re teaming up with Paleokits. I’ve had one of the Krunchbars once and fell in love. Thanks for hosting this giveaway and for the coupon code! This looks like a great giveaway. I am trying to learn about Paleo. Thank you for this chance to win it. You are too funny. have a blessed week. Would love to win these! I think it would be great for school lunches. Looks amazing! I’m hungry looking at them. WERD! lol…would love to try…skeptic here! These are awesome kits! I LOVE one!!! Hahah you are so funny! That granola looks yummy! This is an INCREDIBLE Giveaway! Getting to try all this stuff would be super awesome, thanks for the chance to enter. Ah I love this giveaway! Paleo is pretty dang awesome. You are such a goob, I love it!! Newly paleo. Would love to win. No worries about the PJs, if I’m not going somewhere I am ALWAYS in PJs! New to paleo! This would really help! Love Steve’s Paleo! Great products and a great cause. I have just started going Paleo 3 weeks ago. The thing I miss the most is CEREAL! I’d love to win just to get the krunch! I already eat gluten free and been considering Paleo. Would love to try these products. OOhhh la la. I’d love to try these! Woot! I hear about paleo but don’t know much about it. I’m dying to find out the winner! !